During this Mathematics Awareness Month, we have explored a number of different activities in our Eye on Curriculum series, from general teaching resources to preschool exercises and learning opportunities for homeschoolers. 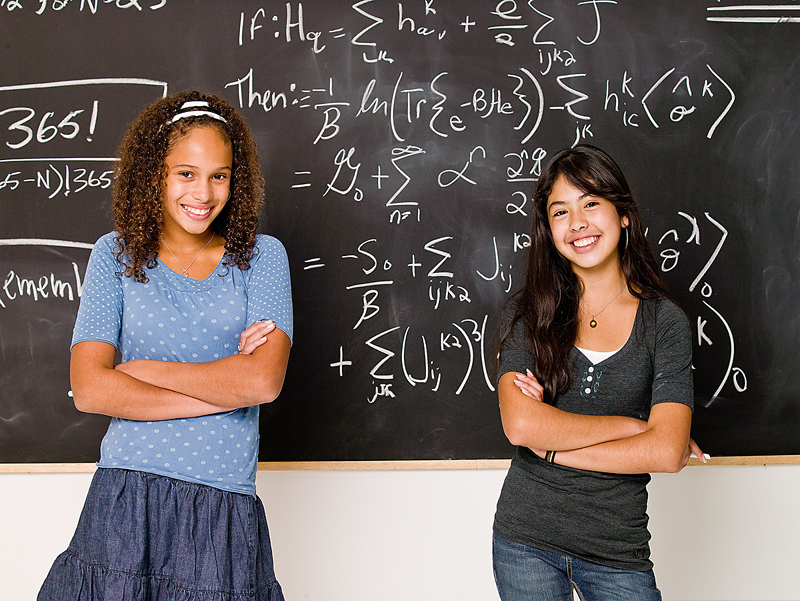 Let’s now take a leap into more structured activities for your students: Common Core Math. Our first Common Core Math blog explored Operations & Algebraic Thinking, and Number & Operations in Base Ten. Some of the related skills that students need to master in those domains include counting in sequence, applying properties of operations, understanding multiples, and using place value to solve problems. In this blog, we’ll delve into three additional domains: Numbers and Operations – Fractions, Measurement & Data, and Geometry. As with other sections, all domains scaffold with each successive grade, increasing the complexity of the skills mastered. • Numbers and Operations – Fractions: Students must understand, recognize, express, and complete all operations of fractions. • Measurement & Data: Students must learn all aspects of classifying, measuring, and working with time and money, geometric measurement, representing data, and interpreting data. • Geometry: Students must identify, analyze, create, and reason with shapes, lines, and angles. Students will graph coordinate points and solve real world mathematical problems. The following highlights are abcteach activities that you can use to reinforce skills from the Standards. We are constantly adding new and newly tagged materials to our Common Core section, so check back or let us know if you can’t find what you’re looking for. Also, be sure to view our recent blog on how to locate Common Core Standards. Poster Packets: Poster packets identify Common Core in student-friendly language. They can be used in mini-lessons, PPT presentations, portfolios, or as signs and handouts. Most poster packets also include checklists of each standard that can be used by students to demonstrate their mastery or by teachers at conferences (with students or parents). • Flashcards: Telling Time – o’clock – Fun flashcards to use when telling time. • Time: Board Game: Telling Time (grade 1-2) – This board game enjoyably teaches the telling of time to young students. • Game: Fractions – Fun fraction games for lower elementary students. • Interactive: Notebook: Measuring with a Ruler (kdg-2) – This interactive activity teaches measurement for lower elementary students. • Fraction Manipulatives: Thirds (b/w) – This is one of several manipulatives that students can cut out and use to learn and practice fractions. • Rules and Practice: Triangles by Angle – These activities are good for practice and review of angles for upper elementary students. • Hands-On Math: Measure a Room (elem/upper elem) – Excellent real-world activity for upper elementary students. • Worksheet: Origami and Geometry (elem/upper elem) – Creatively use origami to teach perimeter, symmetry, and triangles to upper elementary students. • Rules and Practice: Perimeter and Area (upper elem/middle) – Great practice opportunity for upper elementary and middle school students. • Math Chart: Volumes and Areas – Use this chart to help upper elementary students. • Math Chart: Metric Conversions – Use this chart to help student with metric conversions. As with all of our abcteach materials, our Common Core selection is there to adapt to your class and your personal teaching style. Use it in conjunction with other sections on the site, such as theme units, interactives, and abctools, to customize your students’ learning. If you’re searching for ideas or need additional resources, please be in touch. We’re here to help.